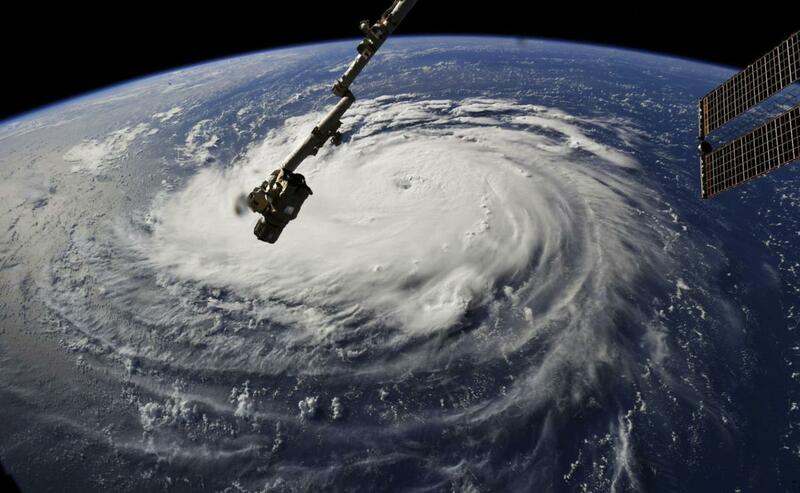 We’ve heard a lot about Hurricane Florence this past week, and now you’re about to hear more. 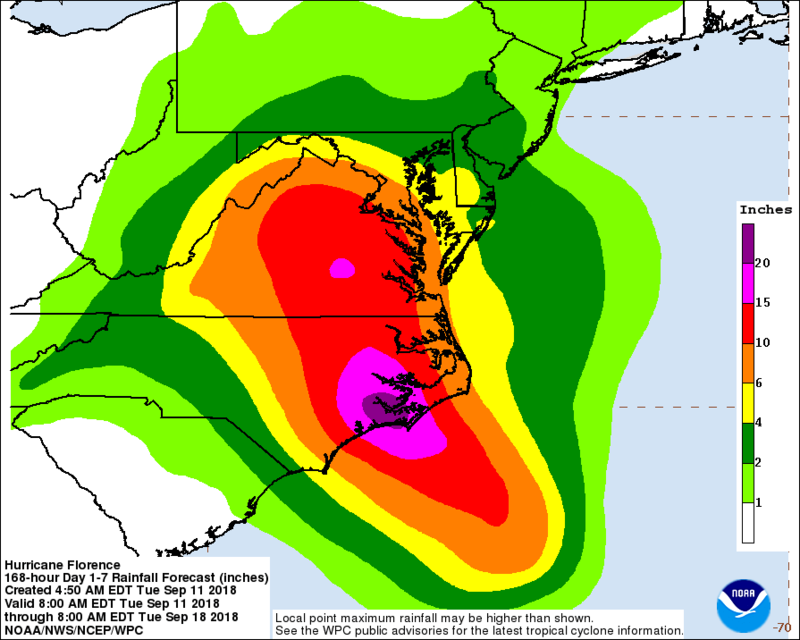 Though Virginia and the Washington, D.C., area won't get hit as hard as the states farther south, we will experience tons of rain and, potentially, flooding. That is a lot of rain, and many parts of the state could be affected. Friday, Saturday, and Sunday are the days with the most severe possible impact, so make sure that you’re prepared. Stay up to date by following your local news. And like I said, while we here in the DMV (and Northern Virginia) may not have taken such drastic measures as our friends down south on the coast, let’s all do what we can to make sure that if flooding does occur, we’re safe and we know what to do. That’s really the best precaution for this hurricane. Tell me, what are your plans this weekend for Hurricane Florence? Are you getting out of town, cozying up inside your home, or something else? Share in the comments below. They're predicting 40 inches of rain in the Carolinas. Read more here.